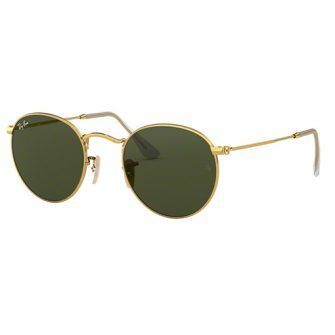 The Gucci GG0113S is a beautiful round eye frame, with L’aveugle Par Amour wrapped round the front frame. The Bee detail either side of the front frame has been a signature of Gucci in the 70’s, making an appearance on both ear socks. Gucci sunglasses come with a hard case, pouch, cleaning cloth and certificate of authenticity. The Gucci GG0113S comes in one size, 44mm. 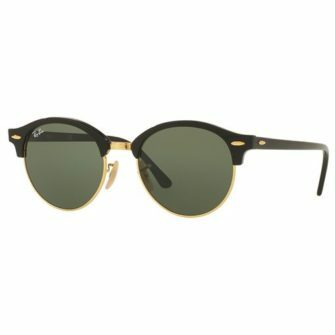 The Gucci GG0113S is a round eye frame, with acetate front frame, metal outer frame, and metal details. 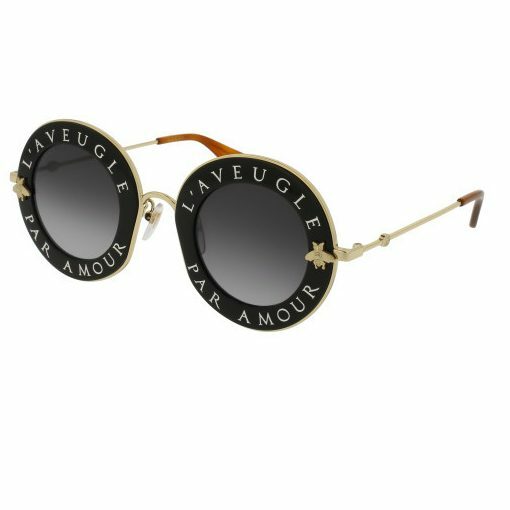 An acetate front has L’aveugle Par Amour sprawled across, which elegantly translate “Blinded By Love”. 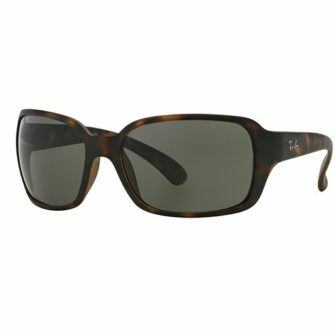 Gucci’s ready to wear Bee signature either side of the front frame adds a familiar touch to a high fashion frame. Colours include black, ivory, violet, and orange, with gradient grey, pink, violet and orange lenses accordingly.